I’ve been twitring about Citrix mobility pack, so whats all the fuzz about ? 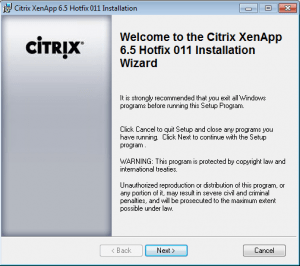 To install this pack you need to install a rollup hotfix and one update to the Citrix Group Policy Management. 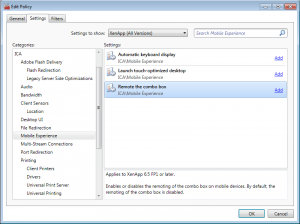 But remember to enable the “combo box” option in policy, since this gives the user the option to choose between mobiliy desktop and the regular desktop. So when this is done, your desktop will look something like this. But remember this is the first release, and there are some issues. As an example if you have applied an group policy that “hides” local folders, these will reappear if you use the mobility pack, since it replaces the windows GUI. ill post some more screenshots tommorow.